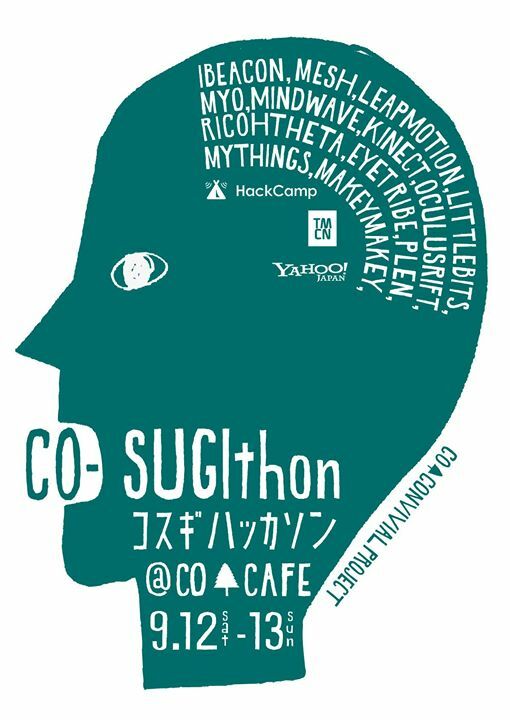 コスギソン〜コミュニケーションが生まれるカフェをハックするCO-SUGI thon -Hack a cafe where communication is born! 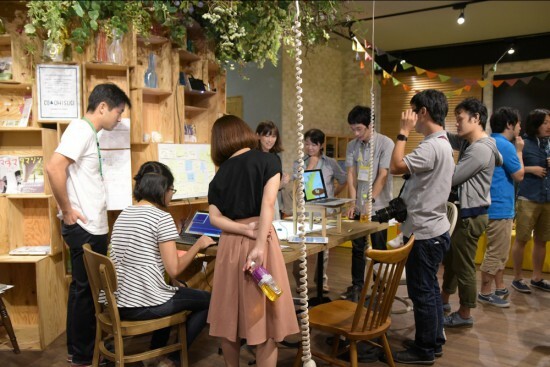 Cosugison was a community-based hackathon held in Musashi Kosugi in Kanagawa Pref in 2015/Sep/12-13. 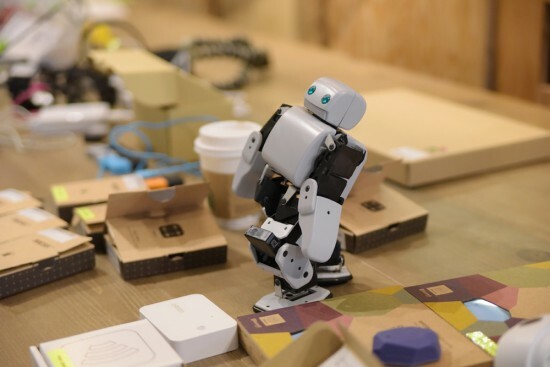 It extended the COSUGI CAFE by using the latest IT technologies and gadgets, in order to transmit a new culture from this city urbanized and full of diversity. In a "Ideathon" of 1st day , Engineers and designers joined to give the idea that COSUGI citizens to activate this city together. In subsequent "hackathon", it was carried out development in order to form an idea in almost 27 hours. 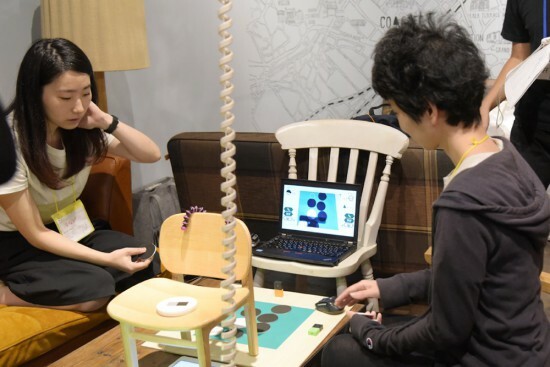 From the evening of the second day, slide the "presentation" 3 minutes of utilizing, by felt "touch-and-try" to touch the actual prototype, presented the results. Grand Prize "Kosugi Award" was selected by examination.